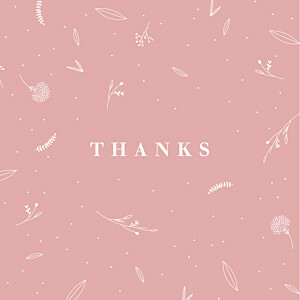 Baby girl thank you cards don’t have to be pink! Our range of baby girl thank you cards does not simply include traditional pink baby thank you cards, (although we do have a few if that is what you are looking for), and instead our designers have created a range of beautiful illustrated and photo baby thank you cards. 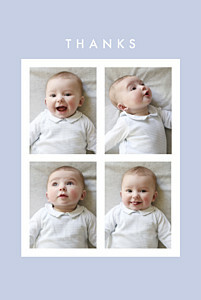 Your friends and family will be delighted to receive your unique baby thank you cards, personalised for them specially by you! 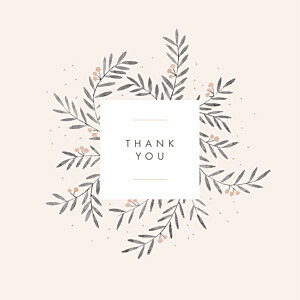 You can even transform our feminine baby thank you cards into baby shower thank you cards, to thank all your favourite girls for organising your baby shower! The options are endless with our online editing tool, but if you have a great idea of how to make your baby thank you cards even more unique then do not hesitate to get in touch with our friendly team to discuss advanced personalised changes. 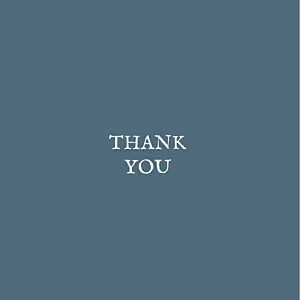 Here at Rosemood we will do everything that we can to make sure that you love your baby girl thank you cards! We offer you a choice from our four high-quality paper types and double check the quality of your baby thank you cards at different stages. 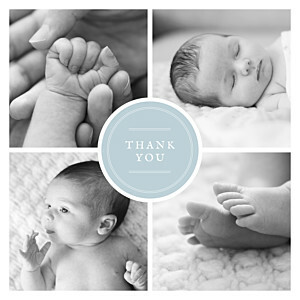 Once you order your baby thank you cards, our talented proofreaders will read over your text and then our graphic designers will take a look at your photos and the layout of your baby thank you cards to make them look great! We will even retouch your baby photos if necessary as part of our complimentary retouching service. You may also wish to take a look at our baby thank you card wording ideas and baby photo advice to help you create your perfect baby thank you cards!